Young athletes at every level tend to focus on their own statistics. They want to win, of course, but scoring goals – and a lot of them – is often the focus for children and teenagers playing hockey. However, assists are kept in hockey for a reason. The pass or two that leads to a goal is just as important as the shot. Learning to play as part of a team and involving every player on the ice means moving the puck well. Teams that do this effectively win hockey games. Winning teams at every level of hockey are made up of players that understand this. It's not uncommon for a young boy or girl to develop a "puck hog" mentality, but it's not going to make him or her a better player. There are a number of reasons that these traits arise in players. For coaches, there are even more solutions to this problem. No matter the cause of this habit, it's critical that youth hockey coaches and parents identify it and try to eliminate it. According to John Mahoney, assistant boys' hockey coach at Hingham High School, the immediate response to bench a player may not always have the desired influence. Quick, efficient puck movement and skating are the hallmarks of good players and winning teams. “The way the game is played now, especially at higher levels, defensive structure and the size of players means you have to move the puck quickly,” Mahoney said. It makes sense that a boy or girl wouldn't understand this at early levels of hockey. Practicing these concepts and instilling the philosophy into an entire team breeds the attitude that makes players successful. Like anything else in hockey, this idea relies on a positive team attitude. "The leaders on a team and all of the teammates are as important as anything a coach can do," Mahoney says. "Working with players so they know how to be part of a team and get everyone involved breaks a lot of those habits." Mahoney has also seen a few other circumstances that lead young boys and girls to appear as "puck hogs." 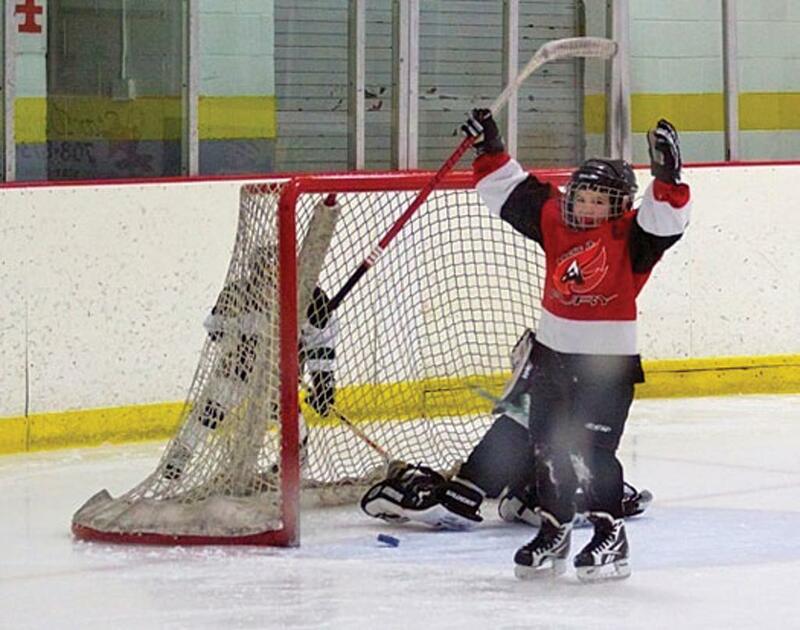 "Sometimes I've found that kids that don't pass like you'd want them to just don't see the ice very well," he says. "It's not always matter of a player being selfish. Talking to a player to help them understand when they should make passes will get rid of a lot of that." Practicing is key to avoiding this problem. Individual skills are certainly important for players. However, understanding a system and a strategy that makes a successful team is equally beneficial. As players get older, they should be able to identify the right passes to make. It's the players who develop this skill that advance to the highest levels. Even the best players can struggle with this tendency, Mahoney says. "There are certainly times when some players don't pass as much because they're just a little better than their teammates," he says. "But then it's a matter of showing them that they can be even better by moving the puck well. If they want to keep progressing to higher levels, that's something coaches in college and the pros want to see." One characteristic of the world's best hockey players is making his or her teammates better. Passing the puck and moving well without the puck are two things all of these players do. It's one thing to score a goal with a nice individual effort, but there aren't many chances to do that, especially as players advance to higher levels. Whether it's still in youth hockey or high school teams, working with teammates to win games is the only way to do it.